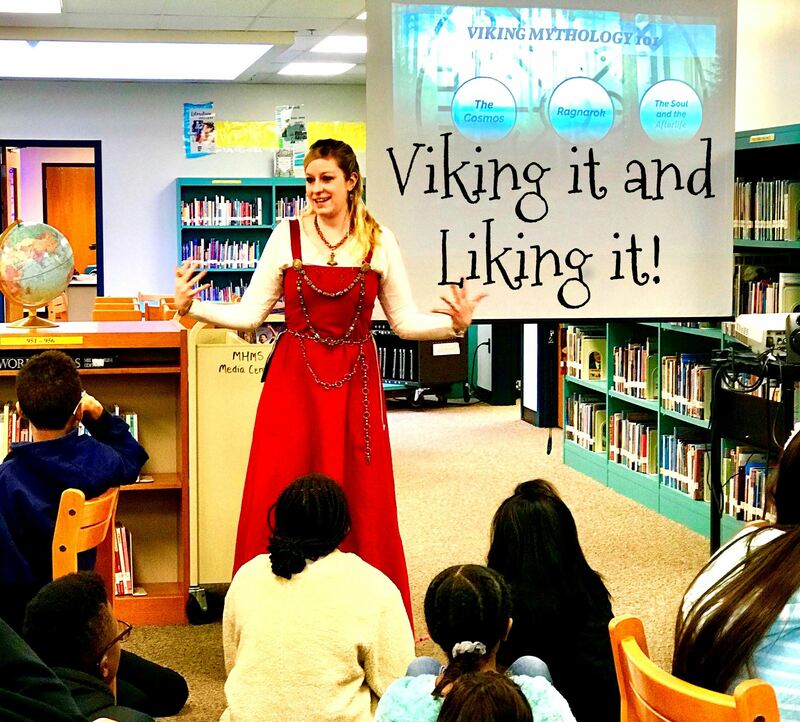 Viking it and Liking It! 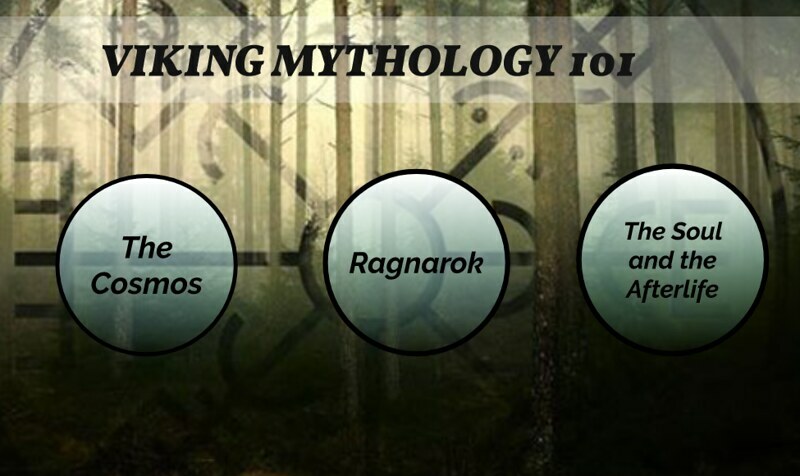 Ms. Taylor created this really fun and informative presentation about Viking Mythology. 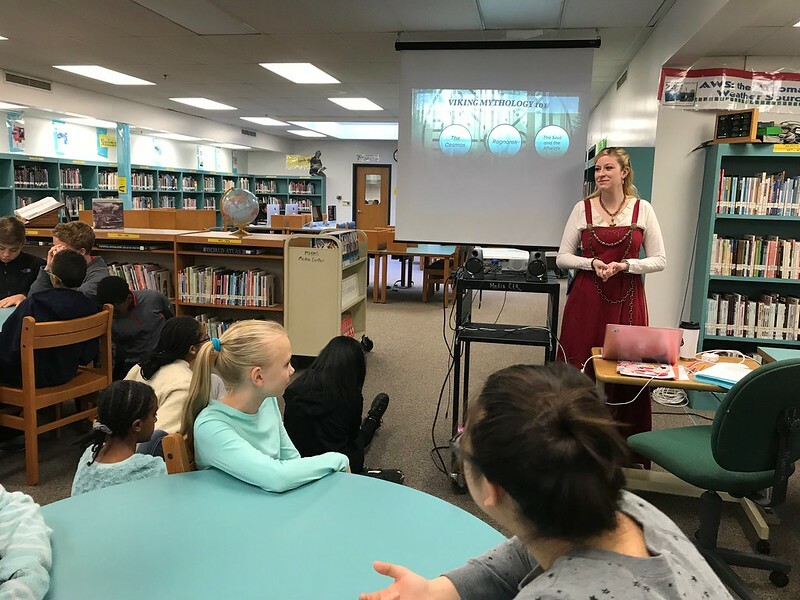 All 7th grade Social Studies classes came into the Library Media Center to enjoy this history rich Prezi-tation. Here is Ms. Taylor’s Prezi with all kinds of great background information! For this event, I pitched in and created a Viking Rune Alphabet Bookmark, as an extension and a take-away for the kiddos. You can download the PDF here! 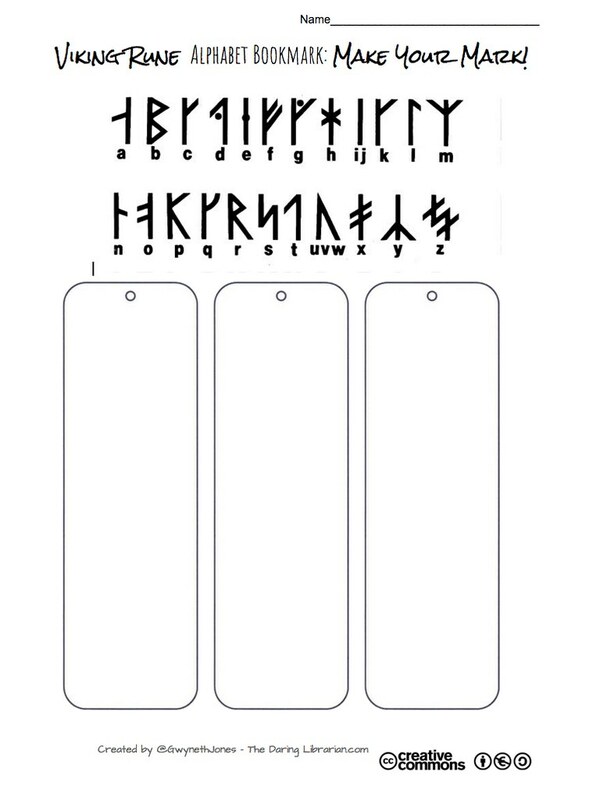 Viking Rune Bookmark.PDF It’s Creative Commons, Non Commercial, Share Alike! What a cool in-house event by one of our most creative and inspiring young teachers! Thanks Ms. Taylor! PS. Like the look? 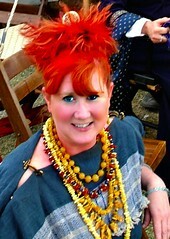 Ms. Taylor is wearing a hand-sewn Viking Apron dress, glass beads, and a Celtic Belt & Dragon woven bracelet from Crafty Celts – as seen on the History Channel’s hit TV Show the Vikings! Want to play Viking? Then you might want to join the SCA! I was in the SCA for years and years and had to find a good home for all my feast gear, Amber, Crafty Celt jewelry, and a six foot hand-forged copper spear. Ms. Taylor was the perfect person to “pay it forward” and gift it to! When I joined SCA, several kind people, friends from my Barony, gifted jewelry to me, helped me sew my first garb, and basically showed me the ropes! (That’s the SCA for you!) Ms. Taylor doesn’t need any tutoring to be a killer Viking, but what Viking could turn down free plunder & spoils? Oh and we decided to not bring the 6 foot spear out for the middle schoolers! Because. Lawsuit! LOL Kidding!